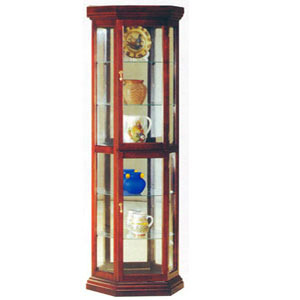 Cherry Finish Curio. Beautiful Design. Features Glass Shelves And Two Front Doors. The Best Choice To Keep Your Ornaments And Protect Them From Dust. Easy To Assemble. Size: 26 x 11 x 71H..